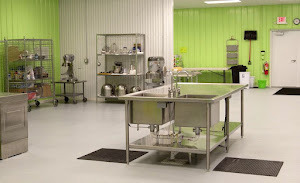 CG Catering is newly licensed in Facility Kitchens. Beautiful food, beautifully prepared. Check them out at www.cg-catering.com. We got our fill machine! It rents for $30.00 per session. This machine will speed up fills for medium to thin fluids and up to 160 degrees. Beef Bourguignon Canning on Sunday! Sunday, Feb 10th we will can Beef Bourguignon, an iconic French dish of beef with vegetables in aromatic herbs. This time our group will be lead by Diane, Canning Diva!! Sunday, Feb 10th we will can Beef Bourguignon, an iconic French dish of beef with vegetables in aromatic herbs. This winter you will have hearty, comfort meals ready to go. You will put up 7 - 9 quarts for storage, and maybe extra quart meals for immediate consumption. Th...e canning session will be lead by Diane, The Canning Diva. We will use the Beef Bourguignon canning recipe fromwww.canningusa.com. Meet our newest producer: Diane with Canning Diva. Diane will be hosting a class at Facility Kitchens on Feb 23rd from 9am-12pm. We will be canning chicken noodle soup.